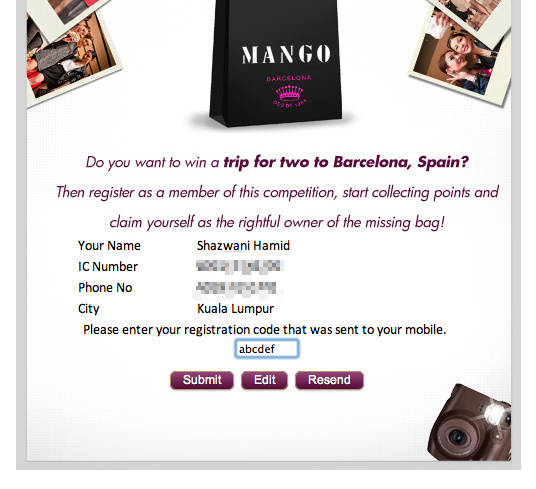 Shazwani Hamid's Blog: Ticket for Two to Barcelona, Spain! Calling all ladies out there! 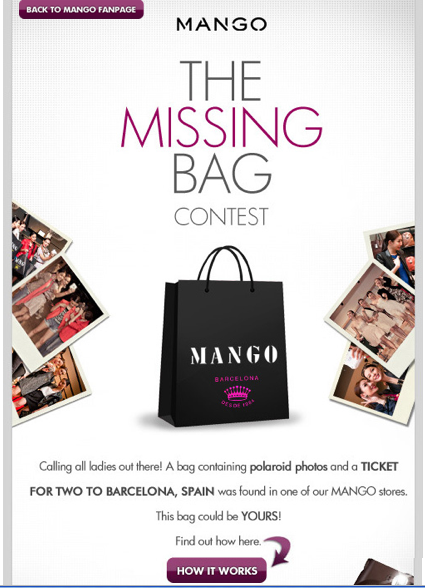 There's a bag containing polaroid photos and a ticket for two to Barcelona, Spain was found in one of the MANGO stores here!!! 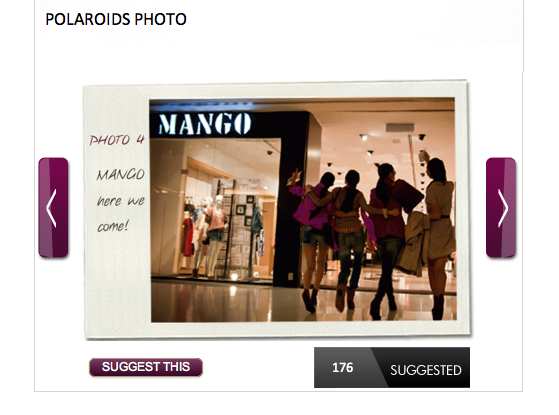 This bag could be yours...and you might just be the lucky girl that win a trip for two to SPAIN! 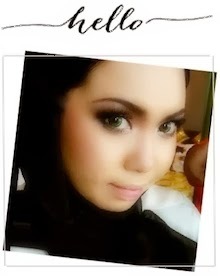 How awesome!!!! 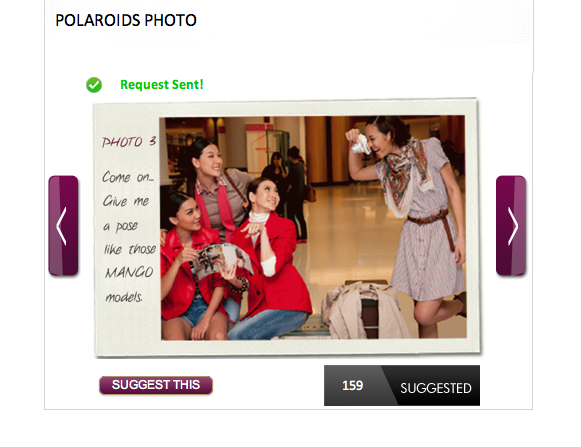 So how do you win this awesome trip for two to Spain? It's very simple...just register your full name, IC number and mobile number on their FB fanpage, then key in the code sent to your mobile number to activate the account.. 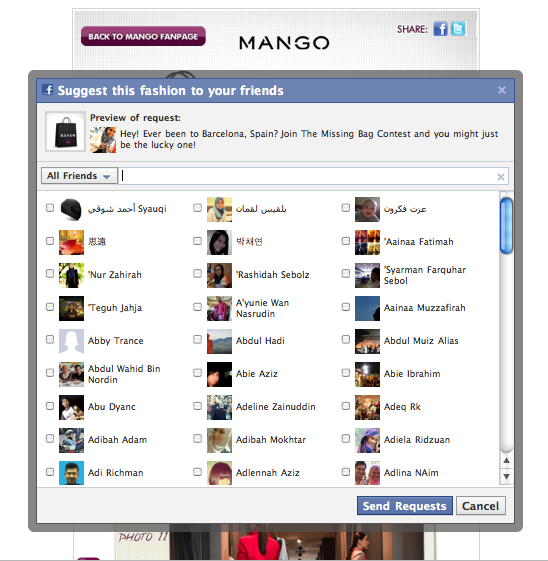 If your suggested friend clicks "Agree", you will be rewarded 5 points! 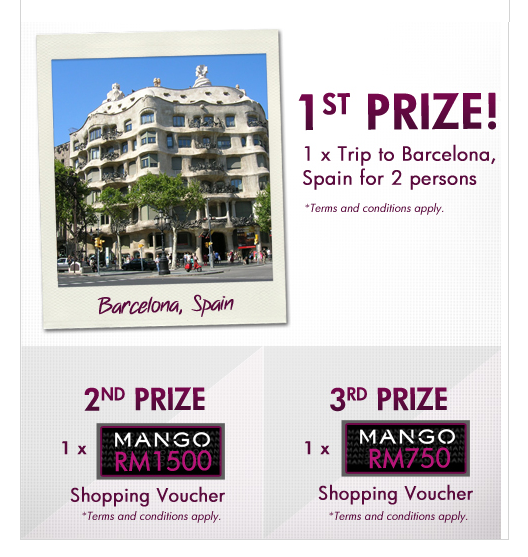 The more points you get, the higher your chance to win that trip to Barcelona baybeh!